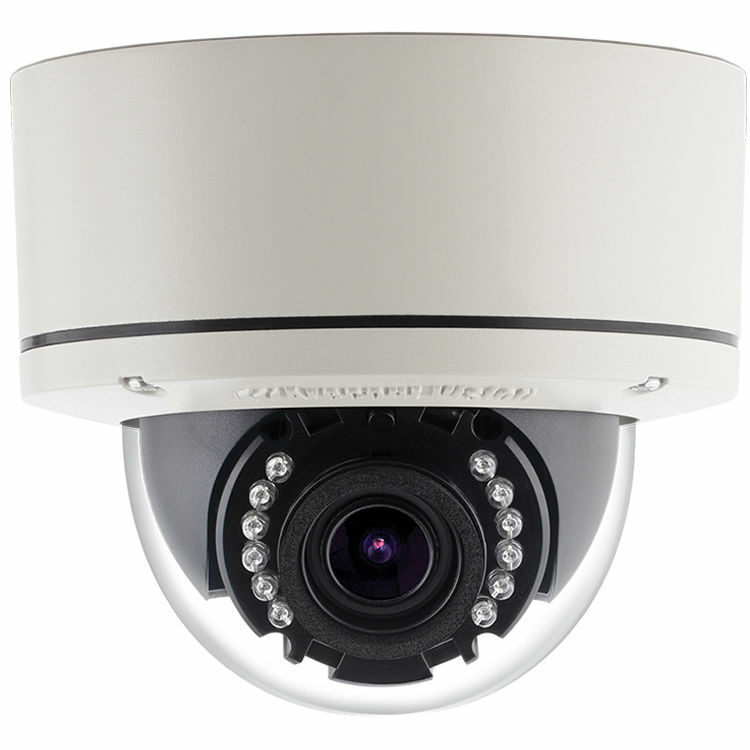 Keep a sharp eye on your property around the clock with the MegaDome G3 AV3356PMIR-S 3MP Outdoor Vandal-Resistant Network Dome Camera from Arecont Vision at video resolutions up to 2048 x 1536 at 21 fps. Featuring LED illumination, a P-iris lens, and a WDR up to 100 dB, this camera is equipped to handle a variety of challenging lighting conditions indoors and outdoors. The built-in IR cut filter can be set to automatically switch to night mode as light levels drop, boosting IR sensitivity and allowing the camera to deliver high-quality black-and-white images during nighttime. The MegaDome G3 AV3356PMIR-S uses a motorized wide-angle varifocal 2.8-8mm lens to give you remote control over zoom and focus. A built-in SDHC slot allows for up to 32GB of onboard storage so you don't have to worry about losing crucial footage in the event of network loss. Bandwidth and storage efficiency are optimized without compromising video quality using H.264 and MJPEG compression. Designed to be easy to install, the camera can be powered directly via its network connection and is ONVIF-compliant to ensure compatibility with a wide range of surveillance devices. The camera's housing is rated IK10 and IP66 to withstand impact, corrosion, dust, rain, and snow.